I am super excited this post because I love how these turned out! 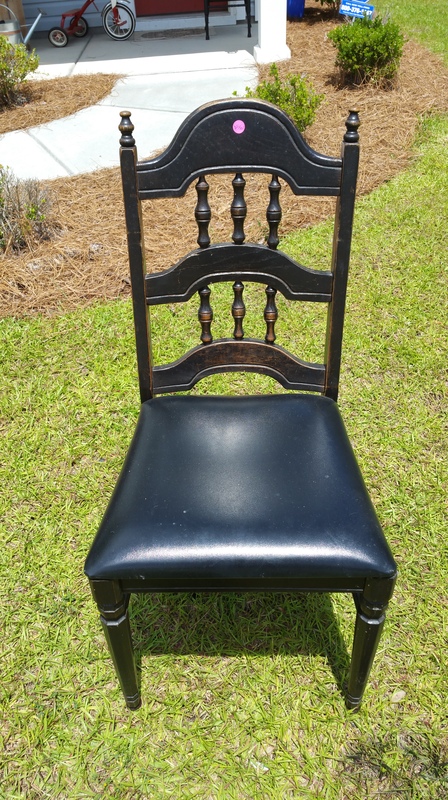 I picked up these chairs at a community yard sale a few weeks ago for a great price! They needed some sanding where the old finish was coming off, and a new paint job, but they had very cool lines and shapes to them. I usually hand paint all of my pieces, but these spindles called for spray paint. 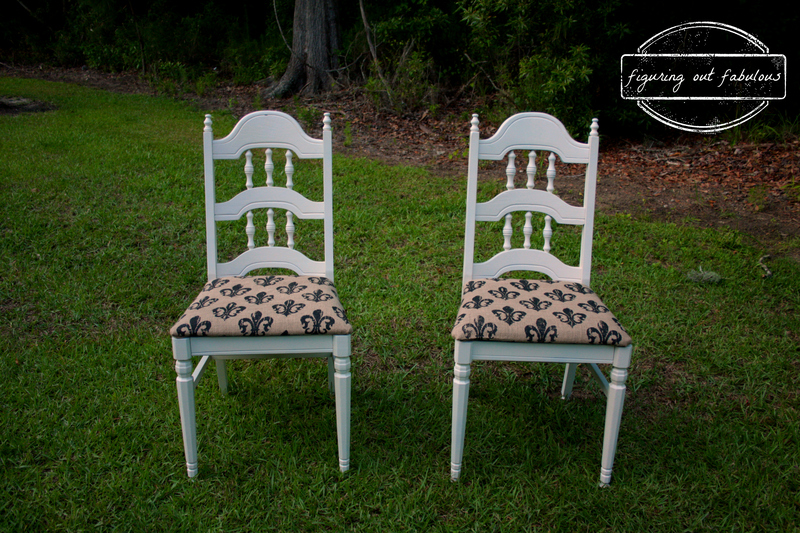 Each chair took a full can (and some change) of Rustoleum spray paint in Heirloom White (satin finish). A few tips I’ve learned about spray painting: 1.) Do light coats. Seriously, the drips will make your mind explode otherwise. 2.) Make sure you are always moving your hand while spraying. 3.) Buy extra spray paint. For realz. Estimate how much spray paint you will need, then double it… then grab an extra can. It does not go as far as other paints. But it sure is a time saver! 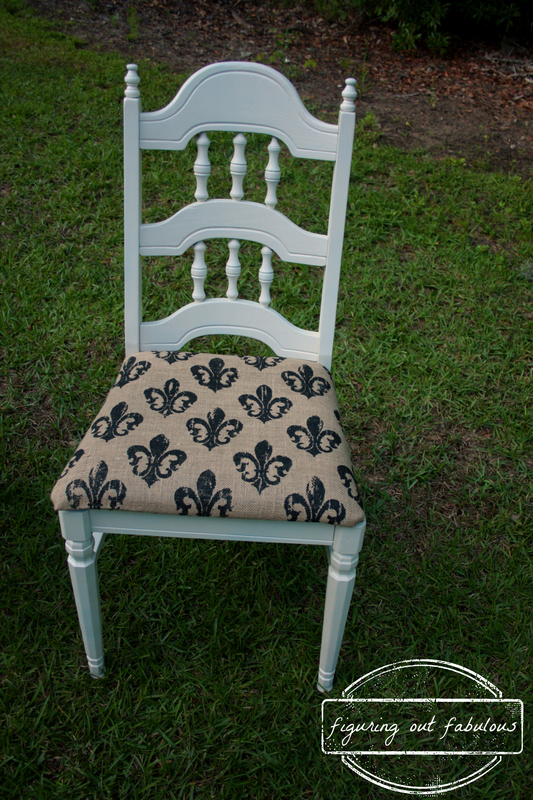 I re-covered the chairs with some Fleur de Lis burlap fabric that I already had and that was that! Here is the finished product.